I just got back from GD 09 and it was a blast. 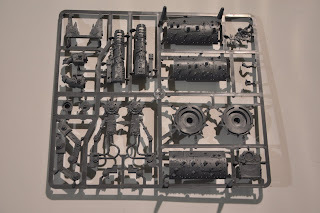 I managed to pick up the Venerable Dreadnoughts and other Forge World bits that I'm fellow Legionaries were looking for and a couple other goodies. 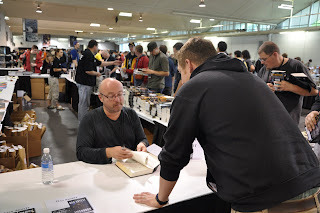 Here is a picture of the up coming Ork Battle Wagon sprue and me talking with Dan Abnett. I will post more in the coming days, enjoy! 'Ard Boyz, coming this July to Canada! What are you waitin' for Tommy? For Ze Germans? ?